President Donald Trump in his 2020 budget on Monday called for overhauling social programs that help poor and elderly Americans, while boosting military spending and funding a U.S.-Mexico border wall, in the opening gambits in his next funding fight with the U.S. Congress. 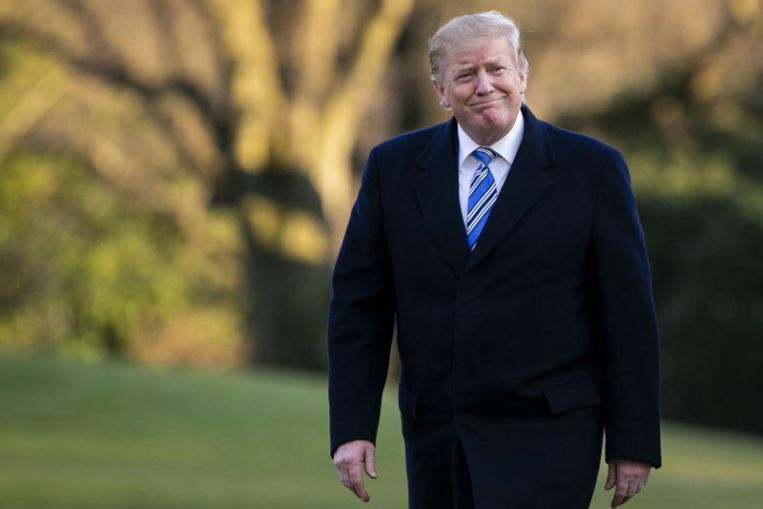 The Republican president’s $4.7 trillion budget was immediately panned by Democrats in Congress, who rejected his push last year for wall funding in a standoff that led to a five-week partial shutdown of the federal government. Like past presidential budget proposals, Trump’s spending plan was highly unlikely to become law, especially with Democrats in control of the House of Representatives, but it does serve as an early manifesto of the policy priorities he will bring to his 2020 re-election campaign. “President Trump has somehow managed to produce a budget request even more untethered from reality than his past two,” said Democratic Representative Nita Lowey, chairwoman of the House Appropriations Committee. This year, the stakes for a deal are higher than in past years. An Oct. 1 deadline to keep the government running coincides with a deadline to lift the debt limit. Without an increase in the limit, the U.S government would risk a default, which could shock the world economy. Trump’s budget includes politically volatile proposals for overhauling Medicare, Medicaid and other costly social programs that form the American social safety net that helps the poor and underprivileged. It asks for $8.6 billion to build a wall on the border with Mexico. That figure is more than six times what Congress gave Trump for border projects in each of the past two fiscal years, and 6 percent more than he has corralled by invoking emergency powers this year after he failed to get the money he wanted. Trump also calls for defense spending to rise more than 4 percent to $750 billion, using the emergency Overseas Contingency Operations (OCO) account – derided by conservatives as a slush fund – to skirt spending caps set out in a 2011 fiscal restraint law. Even with the cuts, which the White House said would add up to $2.7 trillion in savings over a decade, the budget office said the Trump plan would not balance until 2034, exceeding the traditional 10-year outlook. Tax cuts have been a priority for the Republican White House and Congress in recent years, rather than deficit reduction. The deficit ran to $900 billion in 2019 and the national debt has ballooned to $22 trillion. The Committee for a Responsible Budget said Trump’s budget would add $10.5 trillion to the debt over a decade, and criticized the White House for what it called a “fantasy assumption” of 3 percent economic growth over that timeframe – higher than the 2 percent average used by independent forecasters. Unless the White House and Congress reach an agreement, the automatic spending caps from the 2011 law will kick in on Oct. 1, adding another level of urgency to the fall deadlines. The White House wants to shake up the practise of pairing increases in defense spending with a corresponding increase in non-defense spending, a method that has been used to secure contentious funding deals in the past. “We are signaling in this budget that the paradigm of a dollar of non-defense increase for every dollar of defense is no longer – and hasn’t been for some time – affordable for this country,” said a senior administration official who spoke to reporters on condition of anonymity.